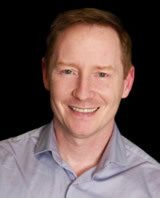 Dr. Michael Sorsdahl is a Canadian Certified Counsellor (CCC) with the Canadian Counselling and Psychotherapy Association (CCPA) working in private practice in Victoria, BC. He completed his MA from UVic in Counselling Psychology and his PhD from UBC in the Centre for Cross Faculty Inquiry in Education, where he combined counselling psychology and ontological theory in a program designed to find congruency in philosophical belief and counselling approaches. His research focus through both graduate programs was centered on Canadian Armed Forces member's transition issues (trauma, career) and interpersonal trust development as assisted through group counselling/therapy. With over 20+ years of service with the Royal Canadian Navy as a Senior Naval Reserve Officer, he now combines the knowledge and experience gained from working within the military service with the knowledge and experience from counselling to help military clients overcome mental health challenges and transition into the civilian workforce. More recently in his private practice, Michael is creating programs designed to assist all community members in career transition, but more specifically focusing on transferable skills of clients with military or paramilitary experience to make them more marketable within the civilian workforce. In addition to focused career development and counselling, Michael specializes in trauma therapy (PTSD), group dynamics/counselling, GLBTQ issues, Men's issues, life transitions and counsellor education. As an educator, Michael has instructed both in-class and on-line undergraduate and graduate courses within counselling psychology in BC, as well as leadership studies within the Canadian Armed Forces. Having received his Masters of Defence Studies from the Royal Military College of Canada, he has expanded his focus and educational pursuits beyond counselling and into leadership development from both a military and governmental organizational perspective. Currently he teaches at University of Victoria as a sessional instructor in the Educational Psychology and Leadership Studies (EPLS) department and is an instructor at Yorkville University in the Masters of Arts in Counselling psychology program. A few words from our students . . .
"Michael was positive but really made me think . . .
challenged the students to think beyond the obvious"